One of the most stylish sub-4m sedans to date. 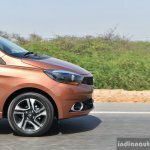 It has been over a year since the Tiago-based sedan's debut as the Tata Kite 5 at the last Auto Expo, but it's finally here for us to have a go. 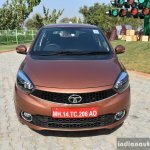 This is one of the few cars I've been religiously covering for over a year, from spy shots to rumours, leaks to statements from Tata's head honchos, so it was gratifying to have a closer look and drive it for the first time. 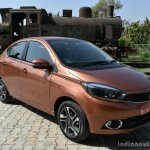 The Tigor was supposed to launch in India in the second half of 2016 to take advantage of the spike in car sales usually witnessed during the festive season (September-November). But numerous delays saw the launch being pushed back, and now we finally have a confirmed date - March 29. 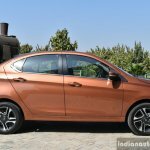 Ahead of its launch, Tata Motors conducted the national media drive of the Tigor in Delhi. 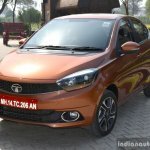 It was themed around style, design and inspiration, making it apparent that Tata has done something about an ill point of a sub-4m sedan - design. Of course, the sub-4m sedan concept is one of the most ingenious loopholes of the government's small car tax break, one which Tata was first to exploit with the Indigo eCS in 2008, but 'pretty' is the last word that would come to my mind if I were to describe a sub-4m sedan. 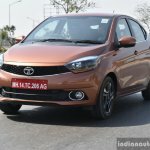 So what about the Tata Tigor? 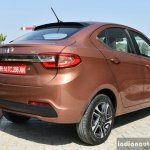 As you can tell, it is not a sedan in the conventional sense; rather a notchback. But because 'notchback' doesn't sound fancy, the marketing folks have decided to call it a 'Styleback'. 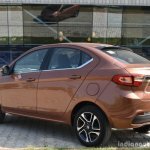 The Styleback gives the Tigor a more cohesive-looking design with good proportions, which I normally wouldn't say about a sub-4m sedan. The best angle to appreciate the Styleback is from the rear three quarter, where it's high waistline and sloping roof come together to create this distinctive rear-end. 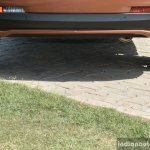 To some, this detail may seem insignificant, but to me, the wide LED-powered stop light housed in the gloss-black spoiler is a nice addition to the Tigor's posterior. 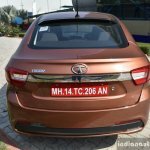 Tata's design boss Pratap Bose has succeeded in bringing a new, more attractive design to the sub-4m market. 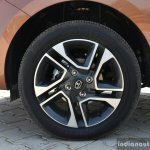 We are fond of the dual tone 15-inch rims exclusive to the petrol XZ, while diesel XZ gets the 14-inch alloy rims from the Tiago due to reasons attributed to packaging. 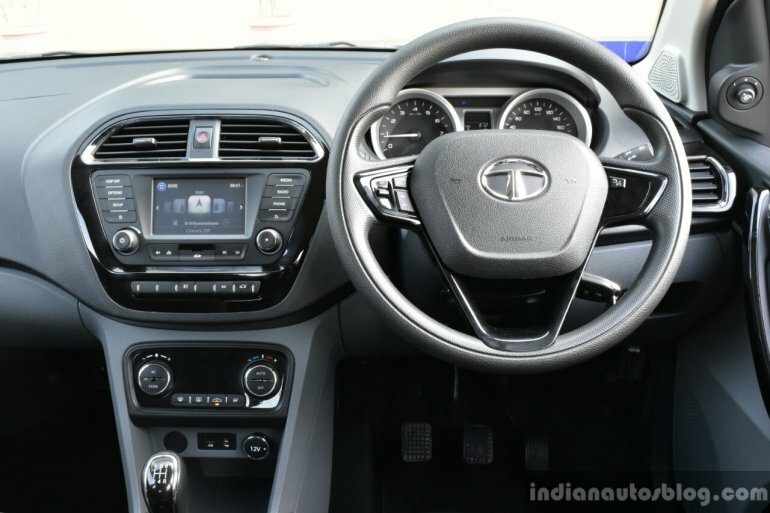 Other features we appreciate are chrome-finished window line, unique four-bar boot open/close mechanism, and blacked-out projector headlamps. 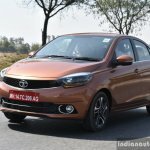 I wished that the production-spec Tigor came with the front bumper of the Tigor Geneva Edition, as it would've given the front a more distinctive and dynamic look. 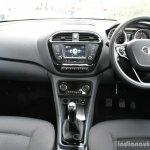 Inside, the Tigor is more or less identical to the Tata Tiago. It's not exactly an all black interior, rather the lower portion of the dashboard has a brighter hue. 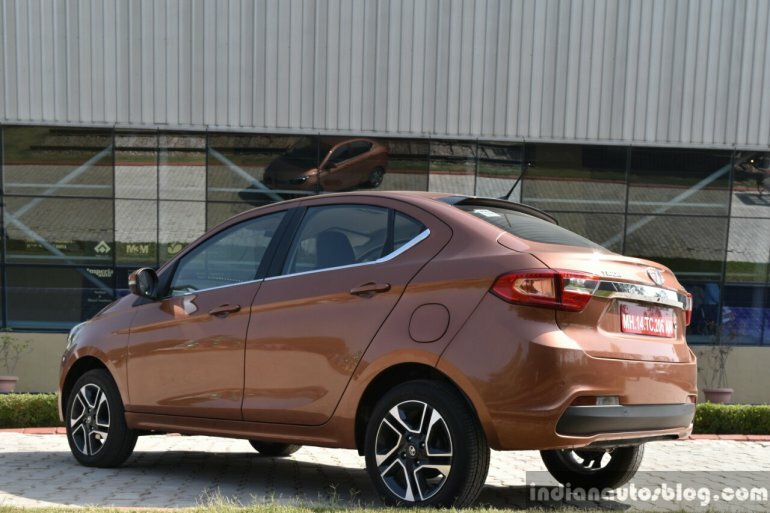 All the other sub-4m sedans have dual-tone beige and black interiors, so the Tigor's distinctive color choices are a welcome change. 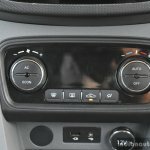 The body-colored trim around the HVAC vents, gloss black embellishers around the center console and door handle, as well as chrome bits around the knob and HVAC vents instill a premium look to the cabin. 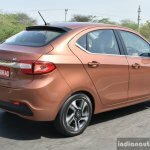 Build quality and choice of materials are identical to the Tiago, so they are better than what you would normally expect from a sedan in its segment. Even though the roof slopes to the boot, there is, surprisingly, a decent amount of headroom to spare for large adults, while kneeroom depends on size of the occupant in the front. 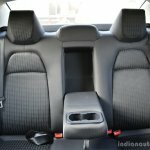 Like the Tiago, the seats are comfy and supportive. 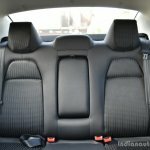 With the addition of a rear-seat armrest in top-end grades, comfort at the back is improved by a notch. 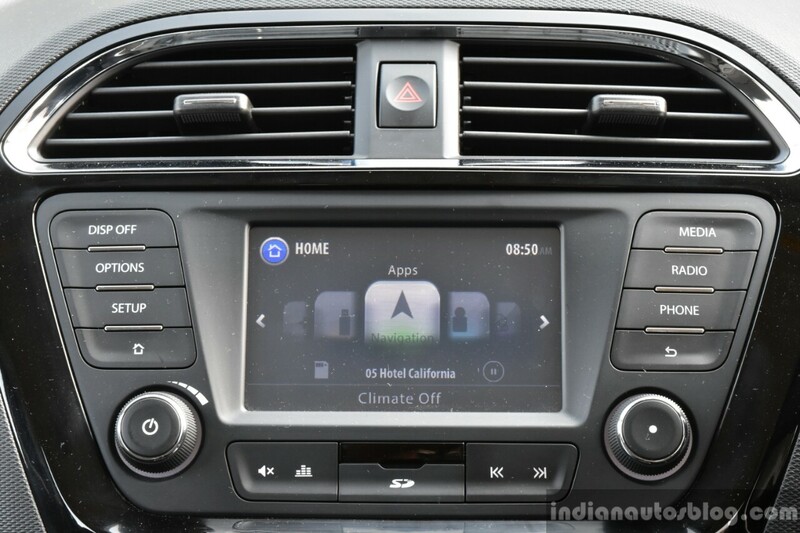 A few key features that differentiate the Tigor from Tiago are the 5 inch Harman touchscreen system, rear parking camera and automatic climate fitted as standard in the top-end XZ. 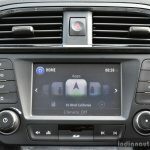 The Harman system is not really one of the best touchscreen systems fitted to a car, as it's laggy, small and works with the less-popular NaviMaps app for navigation purposes. 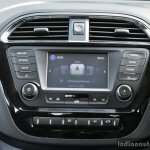 Then again, we don't expect fluid, high resolution systems with Apple CarPlay in a car of its class, so it's not too much of a bother. 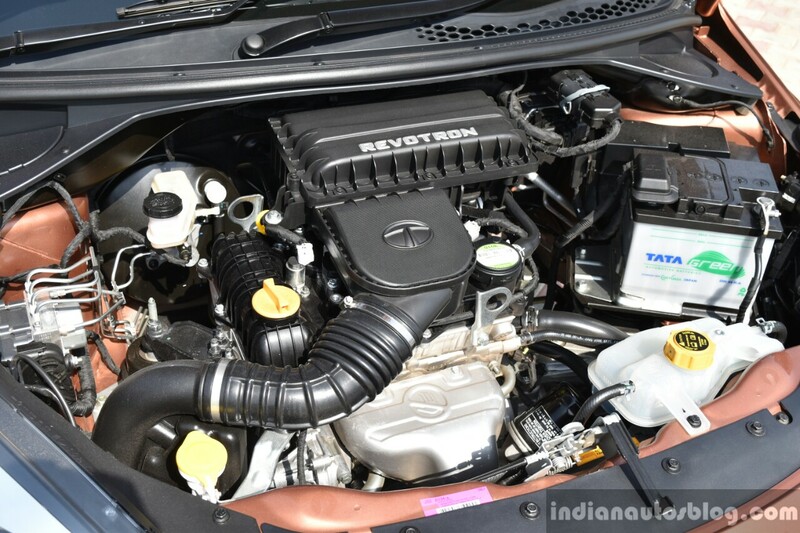 As expected, the Tata Tigor can be had with the 1.2-litre Revotron three-cylinder petrol engine developing 85 PS at 6,000 rpm and 114 Nm of torque at 3,500 rpm, or the 1.05-litre Revotorq three-cylinder diesel engine delivers 70 PS at 4,000 rpm and 140 Nm of torque between 1,800 rpm and 3,000 rpm. 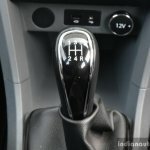 The only transmission option is the TA65 5-speed manual gearbox in both variants, while the Tiago petrol's 5-speed AMT doesn't make the cut, for now. 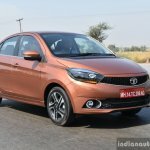 Tata claims that there are minor differences to the powertrains of the Tiago and Tigor, but it's only perceptible if you've driven them back to back. 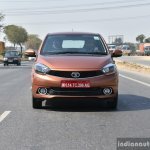 We sampled the Tigor 1.05 diesel variant first, and it felt a pinch less eager than the Tiago diesel variant. 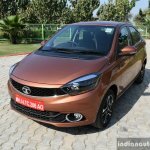 For a 3-cylinder small displacement diesel, the Tigor's Revotorq unit exhibits good NVH levels, and torque delivery is linear across the relatively narrow power band. 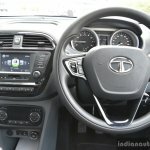 Although both the petrol and diesel models are tuned for relaxed drivability in urban conditions, the latter variant's lump of torque and good fuel efficiency make it a better highway cruiser. 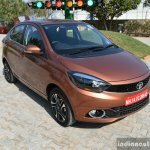 Speaking of petrol, the Tata Tigor 1.2 Revotron feels slightly more refined than the Tiago 1.2 Revotron. 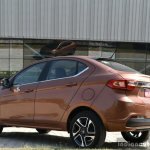 Of course, it doesn't have the punch or fuel efficiency numbers of the Revotorq unit, but the expected price difference between the two variants and bleak future of small displacement diesel engines will help increase the appeal of the Tigor petrol to customers looking for a competitively priced city runabout in the shape of a sedan. 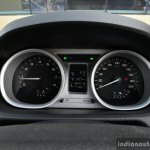 In our drive, the Tigor diesel's MID displayed an average fuel mileage of 14.3 km/L. 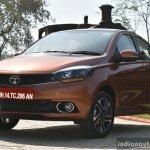 Tata is yet to reveal the ARAI-certified fuel efficiency figures, but it's likely going to be close to the Tiago's 23.84 km/l (petrol) and 27.28 km/l (diesel) figures. 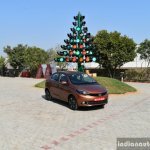 The Tigor's suspension system comprises of McPherson Struts with coil springs up front, and a semi-independent torsion beam with dual path struts. 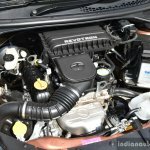 Nothing new; it's the most common type of system you'd find in entry level cars. 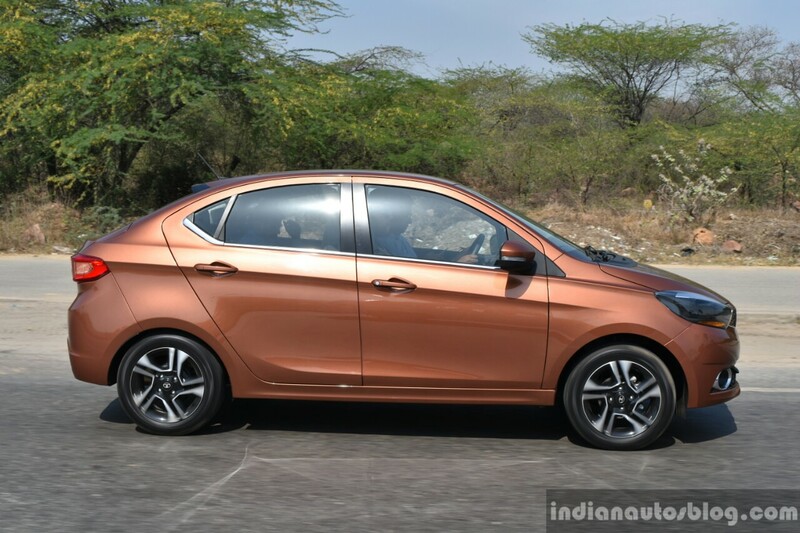 Yet, the ride quality of the Tigor feels more pleasant than other bigger cars we've experienced. 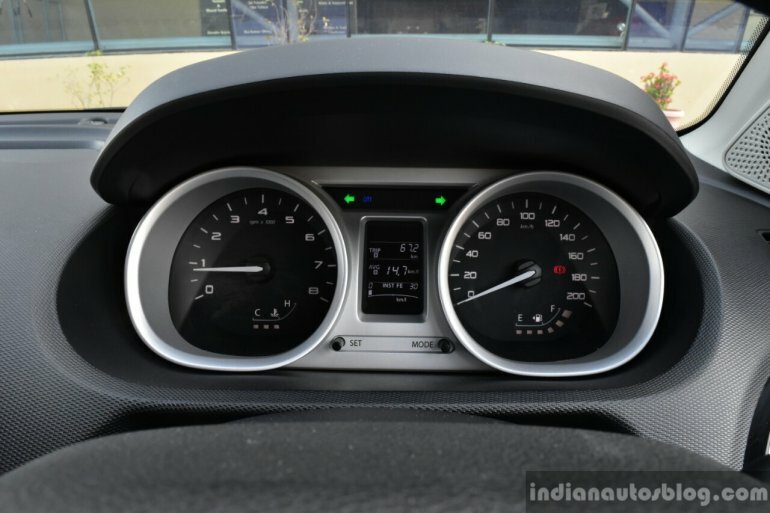 Our route mostly consisted of straight roads, so we can't yet comment on its handling characteristics, although I'm guessing this is a detail that's not going to faze its target buyers. 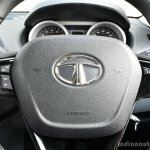 Steering wheel is noticeably lighter in the petrol variant, which is a boon in urban conditions. 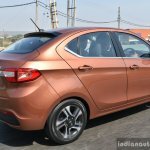 Although the current demand for a sub-4m compact sedan is not as strong as it was a couple of years back, Tata is confident that the Tigor will draw attention from buyers who wish to upgrade from an entry level hatchback or an old sedan. 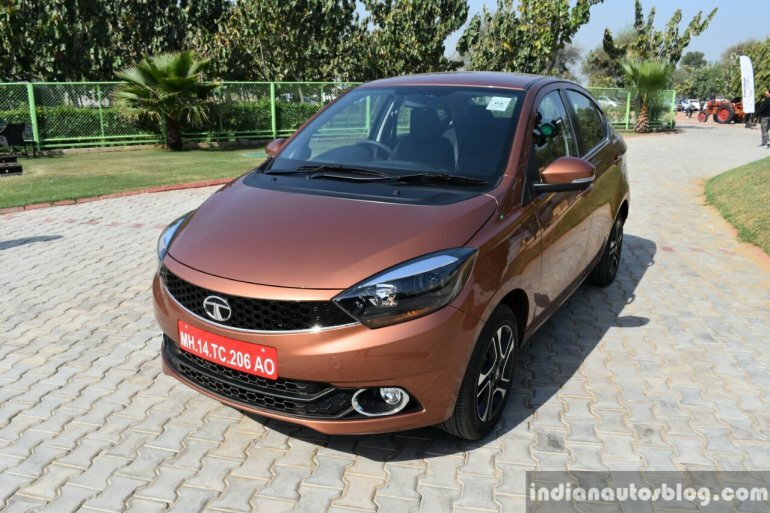 Some of the rivals name-dropped by Tata during their feedback session were the Maruti Swift Dzire, Maruti Baleno, Hyundai Xcent, and Hyundai Elite i20, giving an idea of the target customers that Tata is looking to appeal. 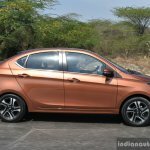 If its pricing turns out to be along the lines of the Tata Tiago, the Tigor could be the least expensive sedan to launch in India, which, we reckon, is going to garner plenty of attention. 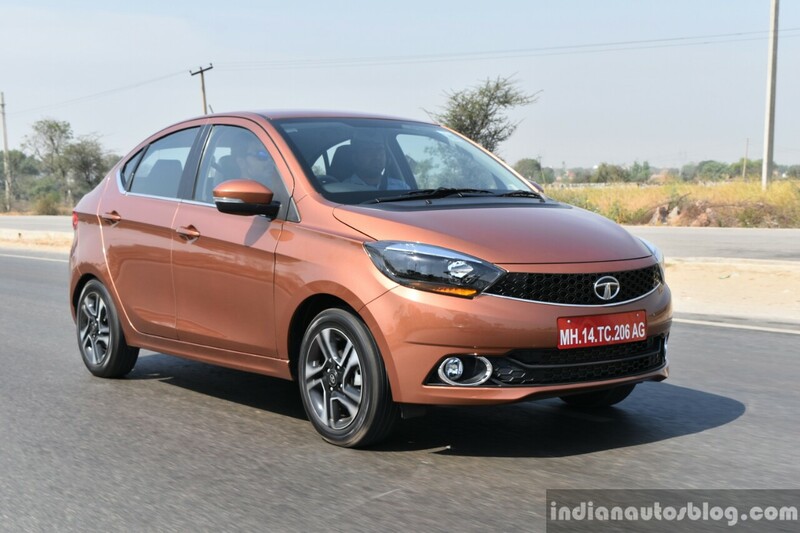 The Tiago turned out to be Tata's best selling car of 2016, so you can imagine the response Tata will receive when an attractively priced Tiago-based sedan offering 419L of boot volume, good equipment list, and respectable fuel efficiency numbers hits the showrooms. 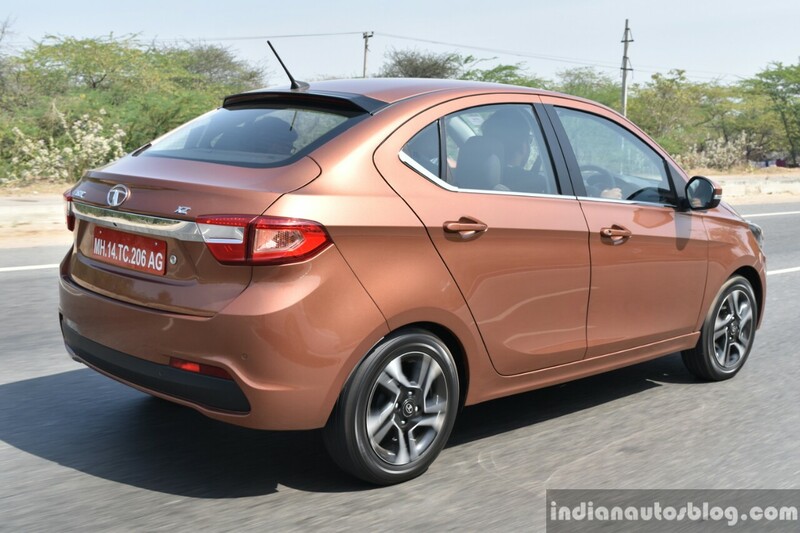 Not to mention, it's also the most stylish and among the most spacious sub-4m sedans in the segment.